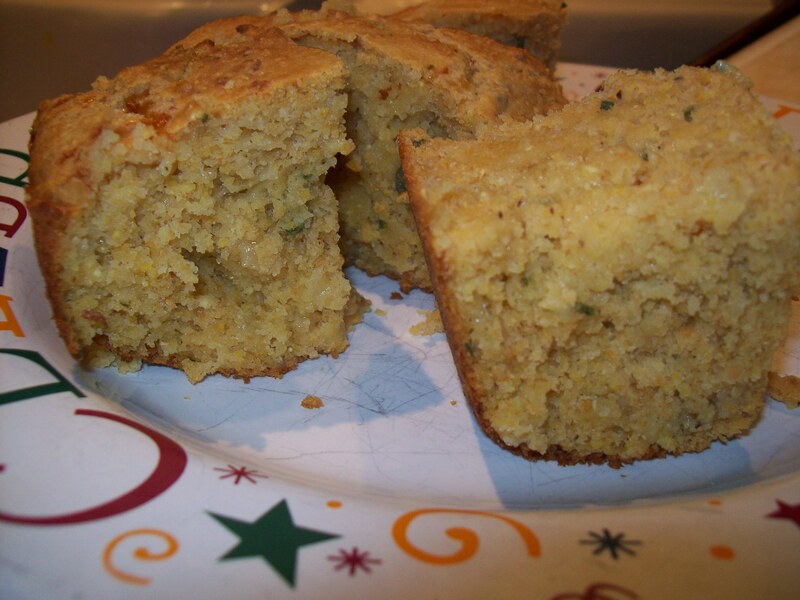 Cornbread is one of those things that never showed up on my Thanksgiving table as a kid, but has always felt like a traditional thing to have at this time of year. I tend not to think of it as a special occasion food because it’s frankly such a quick thing to pull together — cornbread is a fast weeknight item in our house more often than not — but just like with most things, if you dress it up properly, even plain old cornbread can be an honored side dish. In this recipe, the yogurt gives it a tender crumb and a very slight tang. Preheat the oven to 375 degrees. Lightly grease an 8×8 baking dish (I recommend using butter for this). In a large bowl, whisk together the flour, cornmeal, salt, black pepper, baking soda, and baking powder. Make a well in the center and add the honey, butter, beaten eggs, yogurt, and milk. Mix just until combined. Fold in the cheese and sage. Pour the batter into the prepared baking dish. Bake at 375 degrees for 40-45 minutes, until golden brown and a toothpick inserted in the center comes out just clean. Allow the bread to cool before cutting.